There really is only word to describe Mr Perfect, and that is boring. That’s not just because we couldn’t understand much of the dialogue either, there was just nothing at all to keep our interest in this very predictable and slow-moving romance. 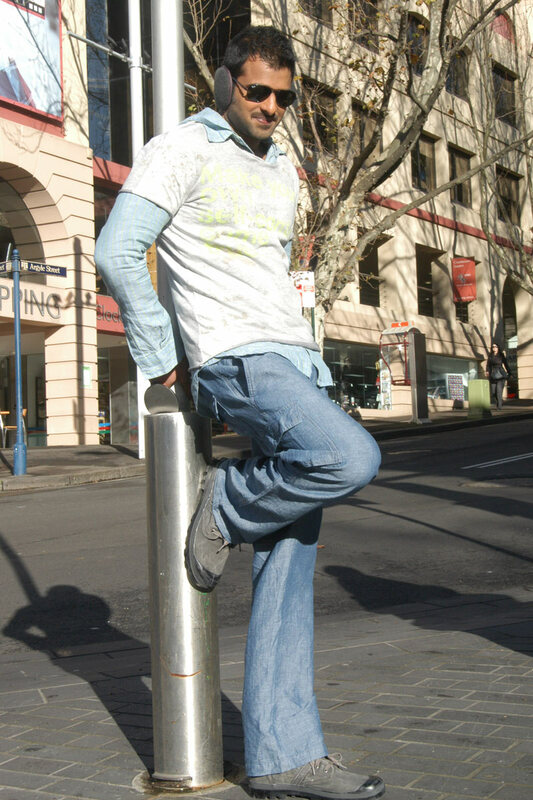 Mr Perfect starts in Sydney with Prabhas as Vicky, a computer game developer who has dreams of running his own company with his friends. Straight away there is a rather inexplicable fight in a pool with some Europeans – French? Or possibly Belgian? They certainly sounded more like Inspector Clouseau than any Australians we know. After some rather impressive ‘Man from Atlantis’ impressions by Prabhas and his jet-propelled feet the action moves on to various parts of Sydney. He and his friends spend a lot of time hanging around various landmarks but never really doing any of the work that is supposedly their dream. He goes back to India for his sister’s wedding, and meets Priya (Kajal Aggarwal), a childhood companion. A flashback introduces the idea that Vicky needs to learn the art of compromise and explains to some extent the animosity between the two. Over time Priya’s likeable personality wins Vicky over but he decides that he can’t possibly remove Priya from her family or her obviously happy life in India, and he won’t leave his life of aimless wandering around Sydney. Vicky keeps insisting that he will not compromise, but we don’t know what sparks these speeches as really people are only asking him to have some manners and be considerate which is hardly the end of the world. He’s such a grumpy, argumentative man who falls into fights for no reason whatsoever. 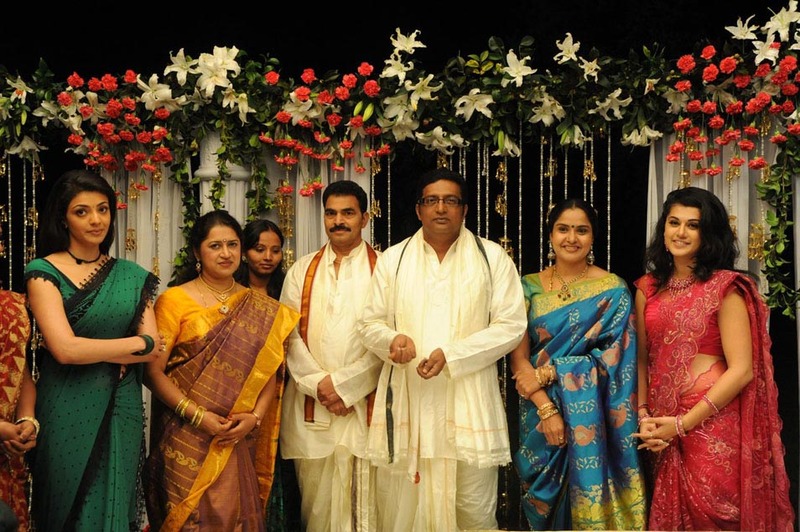 There is some attempt at comedy involving Brahmi as an uncle who is trying to get rid of Vicky, and also some funnier moments involving Master Bharath but none of it works very well. There are some good points though. This part of the film in India was beautifully shot and there were some lovely moments with Priya and her family. The teasing and banter between Priya and Vicky is also amusing, even without understanding the dialogue, and Prabhas and Kajal have excellent chemistry. Vicky heads back to Sydney and through the wonders of product placement meets Maggie who is his ideal partner – or so he thinks. Her family disapprove of Vicky, mainly due to his brattish and immature habit of arguing with everyone senior to him. It really made us wonder how he would ever manage to run a business successfully! There were more Europeans in Sydney – this time Dutch we think – and a stylist who really didn’t like Taapsee. This is one of the better outfits as sadly we can’t find any of the really terrible ones. After more confrontations and more inexplicable, although very nicely choreographed fights (thanks to Peter Hein) Maggie’s father challenges Vicky in order to win his support for their marriage. At a wedding somewhere that wasn’t Sydney or India, but may possibly have been Malaysia both Maggie and Priya are present and Vicky has to decide between the two. And really that was it – most of which could have been condensed into an hour and saved us from the never-ending drama of the second half. A word on Prabhas’ styling in the film – which was really quite terrible. But not terrible enough to be interesting. Dressed in far too many designer T’s, which looked to have come straight from the street markets of Bangkok, worn over the top of plaid shirts, this really was not the best look for him at all. He looked awkward and overdressed in the various layers especially when seen next to Kajal who looked beautiful in some lovely saris. Overall, the whole story was predictable with far too many contrived ‘chance’ meetings and co-incidences. Prabhas character was essentially unlikable and had no convincing relationship with his family. In fact the scenes with his father (Nassar) and mother in Australia were much more reminiscent of a live-in boarder rather than an only son. At least in ‘Orange’ the hero’s decision never to compromise and to live life on his own terms blah blah blah was given a context so while you might not empathise with him, there was at least a reason. Here there was nothing – just a lot of attitude. The interactions with his friends were a little more convincing but only just. There was never any sense that he was ever going to achieve his dream of owning a company and none of them seemed to actually do anything like work. It’s such a pity as we both like Prabhas and were so disappointed in this lacklustre venture. Kajal was lovely as Priya but seemed to fall for Vicky just a little too quickly. Initially she seemed to be a strong character with plenty of determination and confidence but lost her backbone when she fell in love. However her character was reasonably well developed and she delivered a good performance in her role. Taapsee’s character was less interesting and suffered from some very unfortunate choices in the wardrobe department. Prakash Raj and K. Vishwanath play their usual type of role as do many of the other uncles, aunts and family members and it’s nothing we haven’t seen many times before. And that really is the problem here – there is nothing new and the story isn’t interesting enough by itself. The comedy didn’t fit and in general just wasn’t funny. The fights were technically impressive but added nothing to the drama and didn’t serve to progress the story. It felt as though they were just added because they are more or less obligatory and people would want to see Prabhas in action.The songs were much better and mainly were well picturised although the placement was rather clumsy. We tried to look for good points but even the pictures on the walls and the furniture failed to inspire! Less a Mr Perfect and more a Mr Ordinary. This entry was posted in Tollywood and tagged Adventures without subtitles, Brahmi!, Dasaradh, Kajal Agarwal, Master Bharath, Mr Perfect, Nassar, Peter Hein, Prabhas, Prakash Raj, Taapsee, Telugu, Tollywood. Bookmark the permalink. From the comments around us I think that the dialogues were good with some funny one-liners and movie quotes. I’m sure that understanding the language would have made it a more entertaining film – or at least I would hope so! I hope you enjoy it more than we did. This is actually playing in my area but preparing for a weekend houseguest has saved me from having to decide whether to make the 50-mile drive to see it – and now your review confirms I won’t regret that one little bit. I’m glad you mention the styling – I was getting ready to saoy that I was annoyed at this film based on your second picture, the one of horrible facial expression that screams out PARTAY DUUUUUDE RAWK ONNNNN, fist pump, and eye-scarring denim. Clearly not a film (or at least hero) for me. Any good dances for you at least?